Scandinavian Airlines (SAS) flies to 90 worldwide destinations, utilising 156 aircraft, and is the national airline of Sweden, Norway and Denmark. In 2016 it cancelled an above average amount of outbound flights from the UK, although it didn’t suffer from many delays when compared to its counterparts. If you have been subjected to flight disruption with SAS, we will fight to uphold your right to be compensated. Use our straightforward online calculator to check for free if you’re eligible for compensation. A more thorough breakdown of your airline rights and the EU legislation. 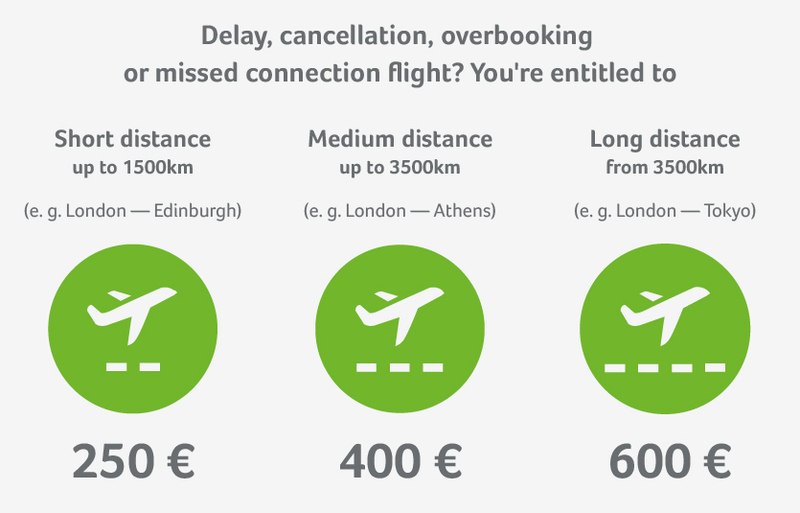 When do flight delays lead to customer compensation? No matter the distance of your flight, if the delay reaches more than 5 hours, you have the right to cancel your flight. The airline must either reimburse you or get you to your destination using alternative transportation. If the departure is pushed back until the following day, the airline is obliged to cover a hotel stay for the night, as well as transport to and from the hotel and airport. Contact the airline directly and request written confirmation of this. Important: Don’t accept excuses! If the airline offers you food or a hotel this doesn’t alleviate their responsibility to issue compensation. Thanks to our expertise, we enforce compensation with a very high success rate. That’s why we are comfortable guaranteeing a completely free service should your case prove unsuccessful! Scandinavian Airlines’ main hub is located at Copenhagen-Kastrup airport, and it operates between 90 destinations - making it Europe’s 8th largest airline. The airline transported 29.4 millions passengers in 2016 and was the first airline to fly on a polar route. Scandinavian Airlines had a mixed year in terms of punctuality in 2016. There was a relatively low number of delays when compared to their competitors, but the number of cancellations was unacceptable. In fact, you were over 6 times likelier to have your flight cancelled outright than suffer a delay of over three hours - a strange statistic which they need to work on. SAS are an agreeable airline when it comes to issuing the due compensation to their passengers. Flightright finds them responsive to compensatory requests and that the money usually arrives faster than it does from competing airlines. When flying with Scandinavian Airlines, the online check-in policy is that a customer may check in as far back as 22 hours prior to takeoff or as close as 1 hour before takeoff. As with many international airlines there are sometimes exceptions to the rule, so it’s best to confirm it with them before your flight. If the check-in can be done online it is always advisable to take this option as it's the most efficient. They also have an app to make check-in even easier. More information about SAS can be found here.